Queens Supreme Court Justice Gia Morris ruled [Friday] that New York City’s comprehensive traffic safety initiative, launched in 2014, violates defendants’ constitutional right to due process. Morris’s ruling advanced the argument that in asking drivers involved in pedestrian collisions to prove that they were driving recklessly, Vision Zero violates the presumption of innocence guaranteed by the Fifth and Fourteenth amendments. The case in question was that of school bus driver Isaac Sanson, who in December 2014 struck and killed an elderly pedestrian in a Forest Hills crosswalk, DNAinfo reports. 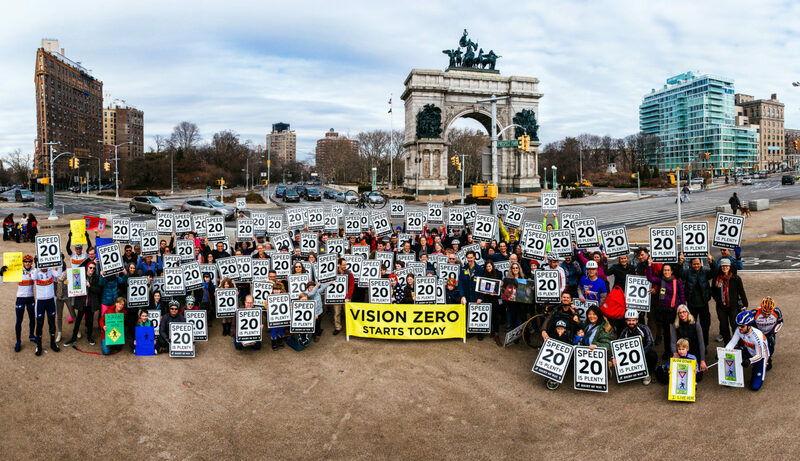 “[The Vision Zero misdemeanor] is a vital tool to hold accountable drivers who seriously injure or kill pedestrians with the right of way while driving dangerously. This is an important piece of Vision Zero’s comprehensive approach to reducing death and serious injury on our streets. We disagree with the court’s non-binding decision and will continue to investigate, enforce, and charge this law,” said de Blasio spokesman Austin Finan. A spokesman decried Morris’s decision and noted that the mayor’s office will continue to encourage police officers to enforce city administrative code 19-190, or failure to yield when a bicyclist or pedestrian has the right of way. This is not the first time Vision Zero has wound up in court. In January, Manhattan Judge Ann Scherzer defended the constitutionality of 19-190, ruling against a driver charged with a misdemeanor under 19-190 for killing a pedestrian on the Upper East Side. Despite vociferous opposition to the program from powerful entities like the Transit Workers Union, arrests for Vision Zero violations are up from last year. The Queens District Attorney hasn’t yet decided whether to appeal Justice Morris’s ruling, which can be viewed here.